We had lovely dinner at Chiko's in West Auckland last week hosted by Marcus and Tracey. It was nice and balmy evening - perfect for Trace's Birthday. Chiko's is Pacific Rim fusion restaurant - East meets West with Pacific twists. I didn't order any starter but had a spoonful of everyone elses'. 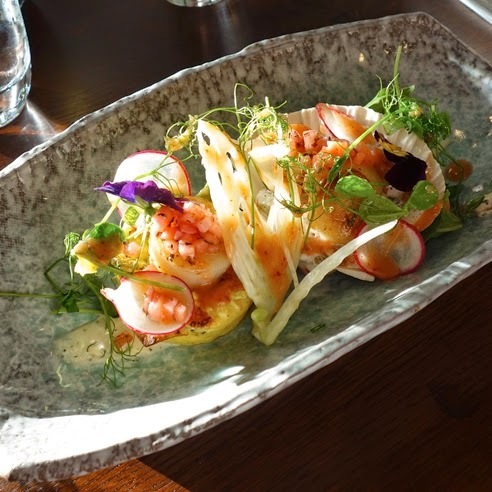 Bob ordered this scallop dish - the plating was as beautiful as its taste. My main was duck and black rice and kumara mash. It was beautiful. 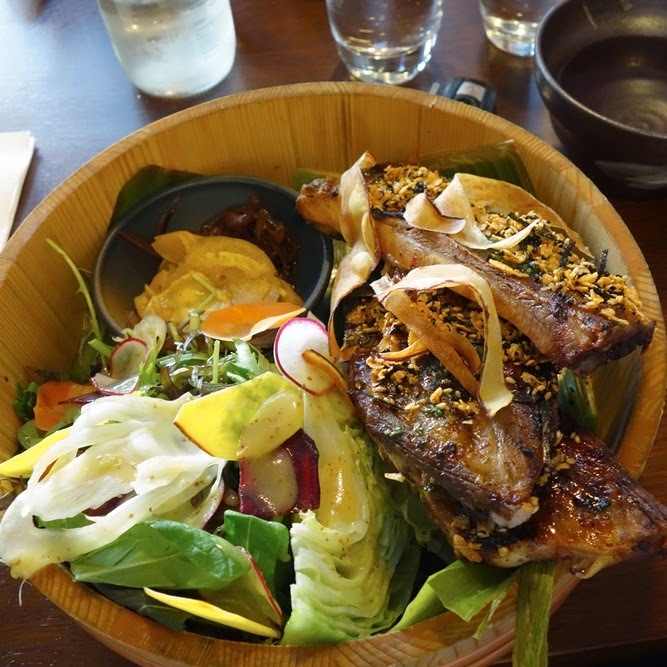 Bob had the ribs which came in a huge wooden bowl with a patch of vegetable garden. I bet very few diners had ever finished everything in this dish:) There are many elements in each dish - they definitely take the time with decoration. They could have marinated the ribs a bit longer and trimmed the decorating greens to manageable amount - to balance out both the look and taste. The service was impeccable although the garlic bread arrived a little bit late but the restaurant was almost full so that's forgivable. All in all, it was a gastronomical delight and Bob got his wallet he left on the table back with everything intact.